On our last trip to Italy, we uncovered a few Italian-made DL200’s and we just had to get them. 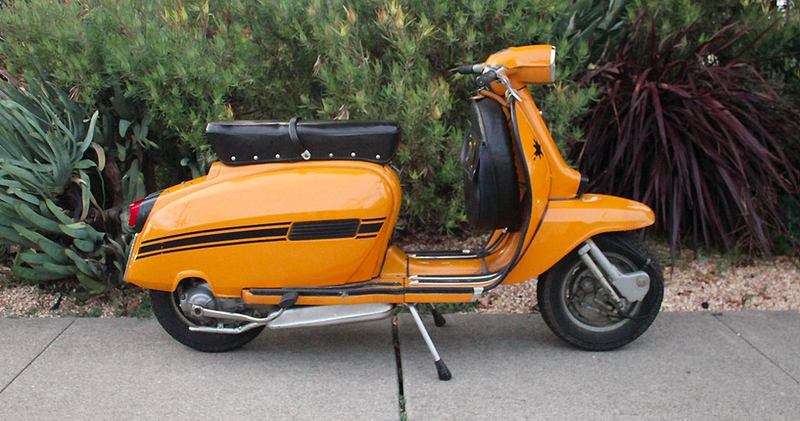 These scooters came in several colors, but we think that the orange (or “ochre”) color is the most in keeping with the era. These scooters were called “DL” in Italy, but “GP” for export models. Although they had different names, the scooters were exactly the same. With the disc brake and beefy motor, the DL is the fastest and most performance-oriented of all the Lambrettas. 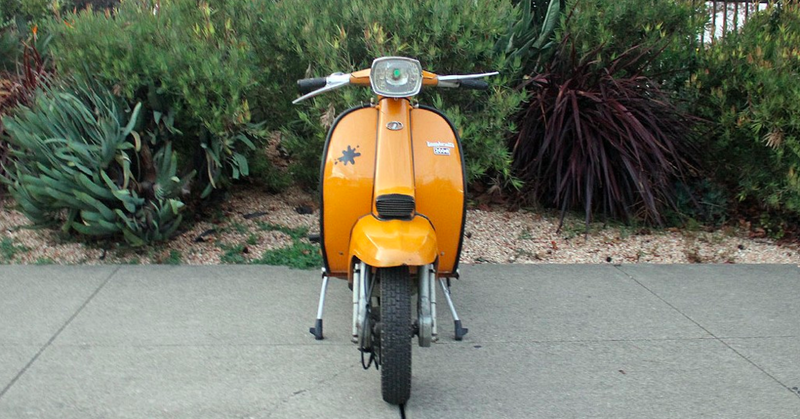 This scooter was refurbished in Italy before we got it. It was in a private collection for some time, and the owner certainly rode it. It has a few signs of gentle use, but overall, it looks really nice. 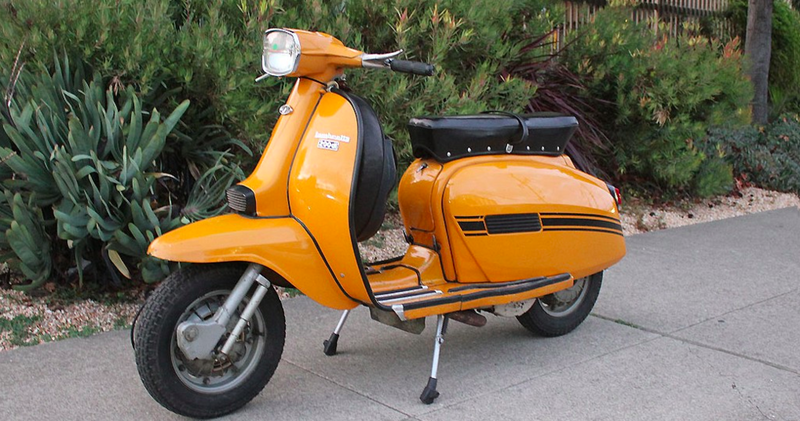 Coming at the very end of the Lambretta production in Italy, the DL200 was the smallest production number of all of the 200’s. Only around 9,000 of the DL/GP 200’s were produced in Italy, making them the rarest of all the Innocenti 200’s.